The convex hull of a set is the smallest convex set that contains . For instance, the convex hull of three distinct points is a triangle or a line segment. A 0/1-polytope is the convex hull of a set of points with coordinates 0 or 1. 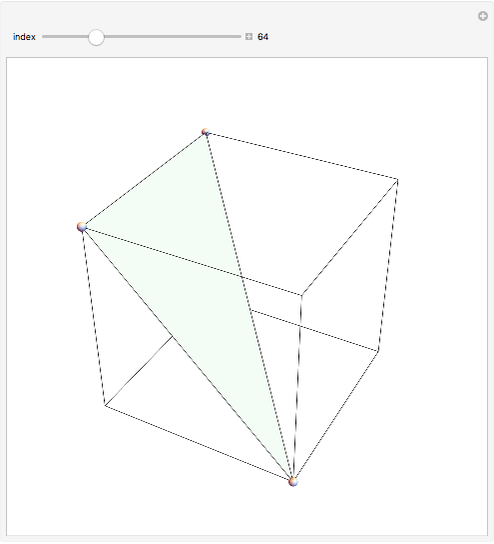 In other words, a 0/1-polytope is the convex hull of a subset of vertices of a hypercube (the generalization of a cube to any number of dimensions). 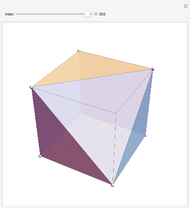 A 3D cube has eight vertices, so it has subsets of vertices. This Demonstration shows the corresponding 256 0/1-polytopes. 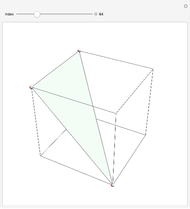 In 2D, there are four vertices and convex sets; in 4D, the hypercube has 16 vertices, so there are convex hulls. Neither the 2D nor 4D case is shown here. 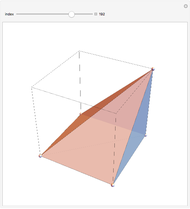 The 2D case is too easy; the 4D examples would be interesting to project into 3D, say into the 3-space orthogonal to the vector . H. Ziegler, Lectures on Polytopes, New York: Springer, 1995 pp. 19–22. George Beck "0/1-Polytopes in 3D"